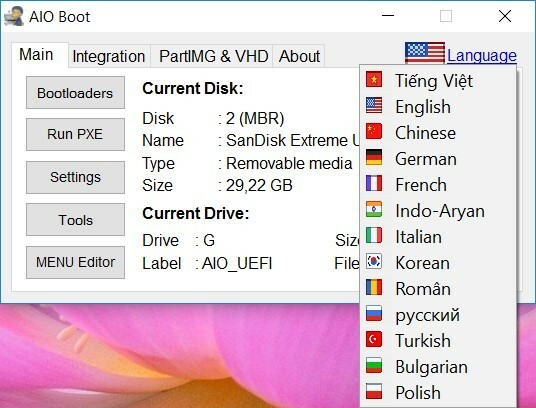 AIO Boot > AIO Boot > How to translate AIO Boot into your language? AIO Boot supports multiple languages. If you want this tool to support your language, you can translate it through the simple steps here. AIO Boot is currently under development and it has received a lot of support from users. Many users have submitted feedback, suggestions, and bug reports. Especially the translation of the language. To support the author of AIO Boot, as well as users from your country, please help the author translate into your language if possible. This article will help you know how to translate AIO Boot into your language. You can use any text editor to translate, I recommend using Notepad++. Do not add lines or change line numbers. AIO Boot Extractor and AIOCreator is based on the line number to determine the appropriate text. %s is a dynamic value. It is used for many different values in different cases. \n is a line break. If you use Google Translate, revise them, remove spaces at the beginning, end of line and after the dot to match the original. Run the tools to test in all cases to make sure the translation is correct. Please leave your Name and Email in the Credits section so others can contact you. Once you feel the translation is complete, send it to me via email admin at aioboot dot com. I’m very grateful for that. AIO Boot Extractor is a utility that helps you extract AIO Boot files to disk. 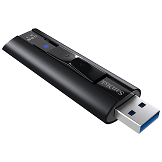 This tool also supports repartitioning your USB, it supports creating one or two partitions including two options that are only using FAT32 format or using both FAT32 & NTFS formats. First you need to download AIO_Boot_Extractor.exe and AIO_Boot_Extractor_Lang_xx.txt (rename to AIO_Boot_Extractor_Lang.txt). Put these two files into the same directory. Open the file AIO_Boot_Extractor_Lang.txt and start translating. Run AIO_Boot_Extractor.exe, change to any language to see translation changes. If you change the language of AIOCreator.exe, you will be prompted if this translation has not been translated or not yet complete. You will find translations of this tool in the /AIO/Tools/Lang directory. The file name is set to ISO 639-1, and the file extension is .txt. The Vietnamese language file will be vi.txt, English is en.txt and Russian is ru.txt. If this tool does not yet include your language, you can translate the English language in the en.txt file. Run AIOCreator.exe, switch to another language and switch back to see your translation changes. Grub2 supports 38 languages, its language files located in /AIO/grub/locale. Grub2 language files have a .mo extension. The language of the menu will be the .cfg extension. First you need to make sure Grub2 supports your language, which means it contains your language file. Copy the file en.cfg into a new file and rename it in your language with the extension .cfg. If the language file of the menu already exists, you only need to make the modifications without having to create and rename. For example, the Turkish language file is tr.mo, you need to rename the file en.cfg to tr.cfg. Run AIOCreator.exe > Tools > QEMU to test the translation for the Grub2 menu. If you have time, I hope to receive a translation from you. Thanks.